We had a great stay at Villa Kedidi - a lovely villa well set-up for families to visit. 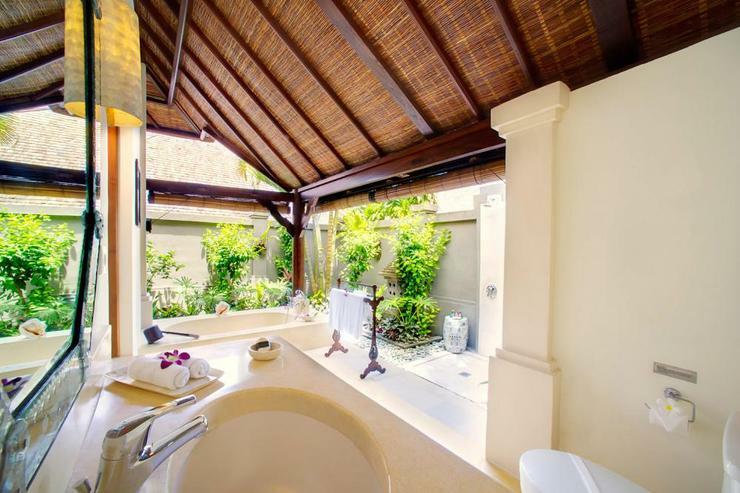 The bedrooms and living areas were lovely, with fantastic outdoor bathrooms. 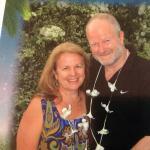 The food was delicious and both our chef and housekeeper were very friendly and helpful. The villa is well set-up for young children (we were travelling with a baby and toddler), with lots of toys and pool fencing (on request). Our chef, Made, also cooked delicious meals for the toddler in our group. If I was returning I would bring my own travel cot as the mattress on the cot provided wasn't great - but no other complaints. 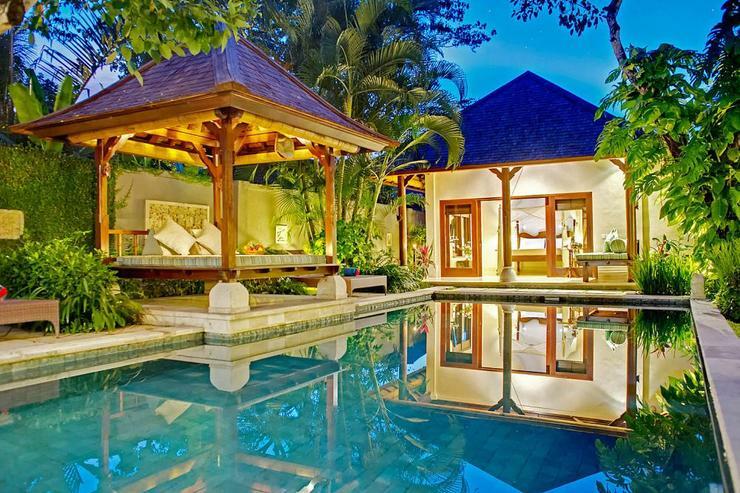 Would definitely recommend this villa to friends. We have both villas for just shy of a fortnight. Property is as the photos indicate. Service is excellent, food is fantastic. 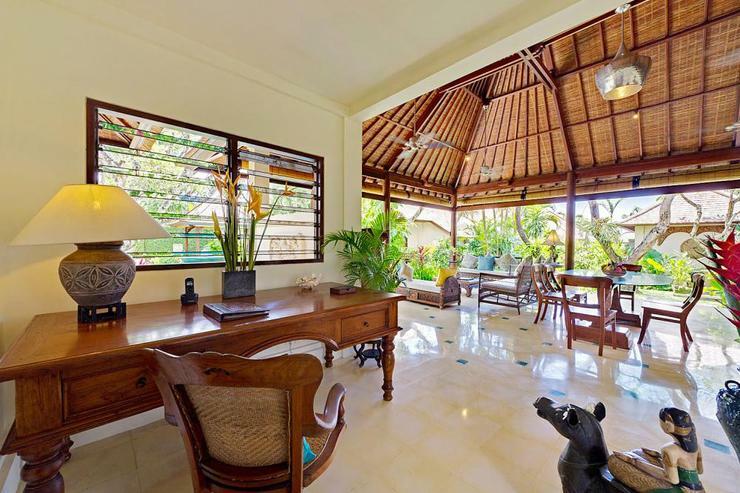 Very close to Canggu beach and minutes walk from Echo. Half way between Seminyak and Tanah Lot. 12 of us staying, two cars with drivers provided. Family friendly, staff keep villa immaculate whilst you mess it...Wouldn't hesitate to recommend this property and would definitely stay here again. Thanks to the staff for making our visit so memorable....still have a few nights left but no problems doing "the early crow" on this property. We had a perfect holiday in Villa Kedidi. Yes, the perfect weather contributed to what was already a great great holiday beginning. We had 4 adults, 3 children aged 10,7 and 4. Three separate rooms in separate buildings gave all of us enough privacy, while the main building was common area for most of our meals and gatherings. The rooms were very clean and tidy, and everything was organized so well. But make sure you are equipped with some insect repellents when you go. They light up their own, but not enough to keep them away. Kids loved the pool, and it was so convenient for adults to watch over them as well. The chef served us excellent meals each day. She was very considerate of our choices as well as very careful as not to overuse our budget. We were provided with a driver each day for 8 hours. I have seen some fantastic drivers in my day and he beat them all. If you can drive in Bali, you can drive anywhere in the world. Although a little far from the main shopping area, we did not mind the peace away from all the bustles. We would love to go back again. Villa Kedidi has my two thumbs up. Amazing experience, would go back for sure! 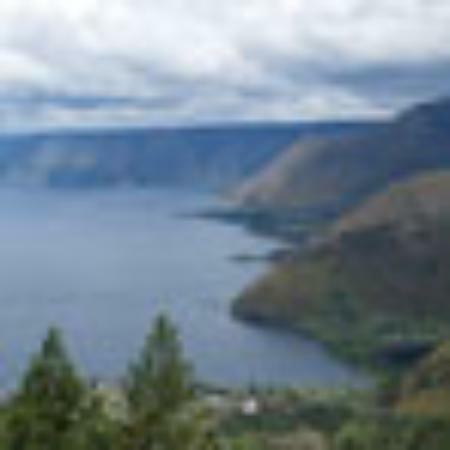 We stayed at Villa Kedid as three families (all friends) with babies and children aged from 10 months to three years. It was a wonderful experience and we would all recommend it. The staff were exceptional and went out of their way to make our stay enjoyable. The food was delicious and the chefs catered to our every request (we wanted to try as much local Balinese food as possible). The children's facilities were fantastic (pool fence, high chairs, cots, toys) and the staff were great with the kids. The villa was spotless and the rooms extremely comfortable. 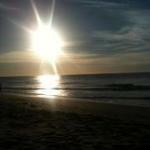 The location was great, a two minute walk to Canggu beach which had a choice of two fantastic beach restaurants/bars. They both had a great vibe and one in particular was brilliant for watching the sunset and enjoying drinks and food on the grass (great for the kids to run around). Overall we loved our time there and would definitely return. Staff over the top, good location, everything is convenient. We were there at 2 families with childrens. 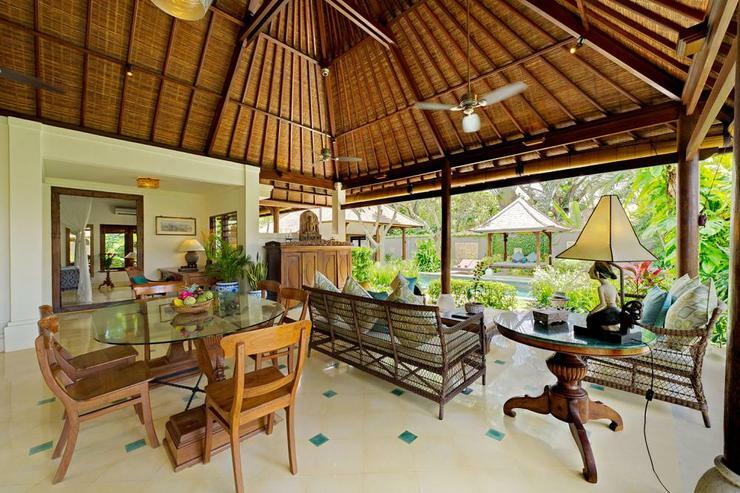 We have had the privilege of booking both Villa Kakatua and Villa Kedidi for 21 nights. We had an awesome family reunion. The transfers from the airport were seamless. The staff are all exceptional and made our stay amazing , always willing to do that little bit extra. The meals were outstanding and we chose to have breakfasts and dinners at the villa as we had 13 in our group, from 3 years to 60 years old. The presentation and service was 5 star standard. The chef’s made 3 beautiful birthday cakes for various members of our family. The rooms are serviced daily, spacious and comfortable with adjoining ensuites , large beds with air-conditioning and fans. The wifi is strong and can be used throughout the properties. In house massage can be arranged. The gardens and pool are beautifully maintained, and they provided the children with pool toys and countless hours of fun for all. 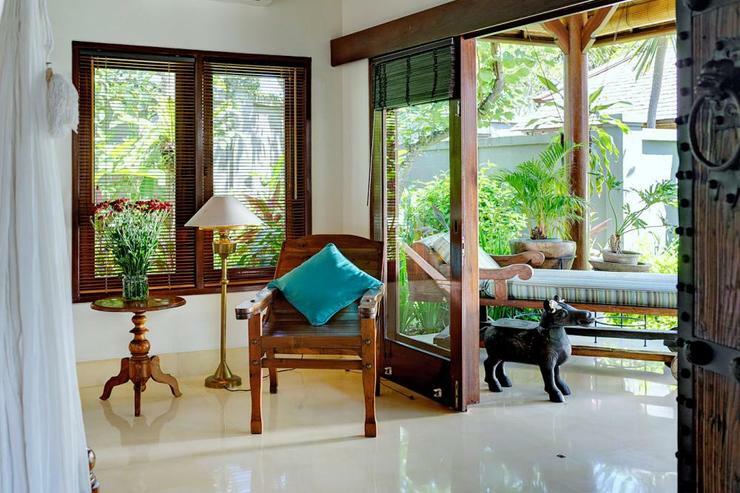 The location is 100 meters from Canggu beach, surf and nightlife. 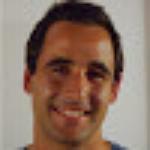 A van and driver are available free for the Canggu area and at a very reasonable rate for further afield. 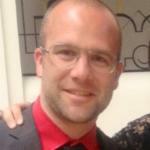 Staff happily organize motorbike hire. There is 24hour security at the front gate. You will not find a better “sanctuary” for a large family gathering. 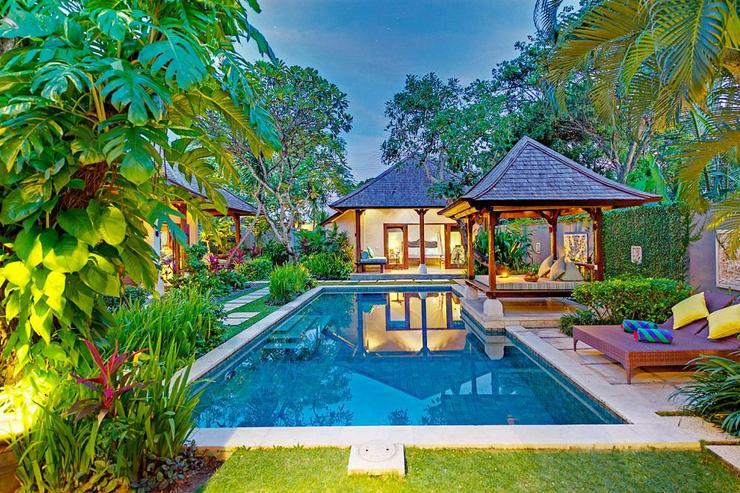 Villa Kedidi is located at about 100m from Canggu Beach on Bali's south-west coast. 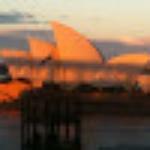 The beach is renowned for its world-class surf breaks and rugged beauty. The location is ideal to catch a wave, take a stroll along the sands to nearby surfers haunt Echo Beach, and capture the sun setting over an ornately carved beach temple. The residence is bordered by rice fields and cow pastures. 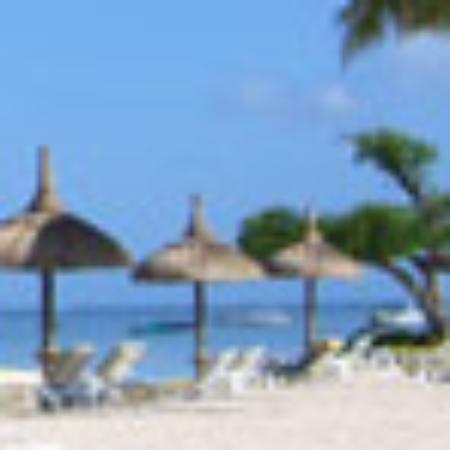 The out of town setting is ideal for those who wish to get away from it all. 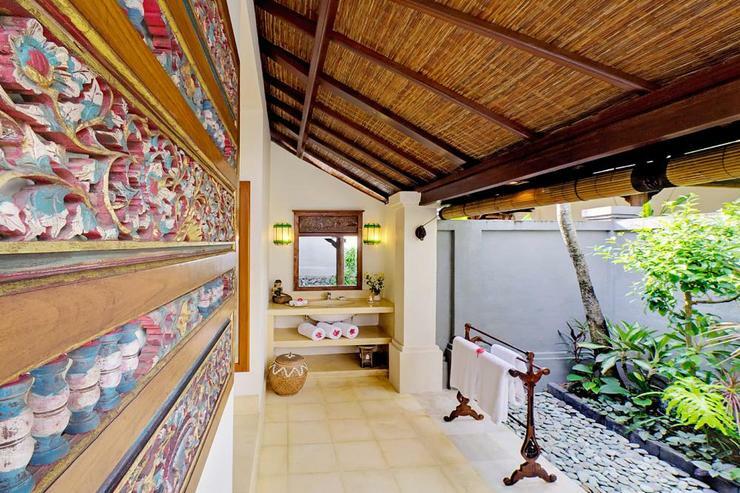 However, the shops and restaurants of Seminyak are within comfortable distance. 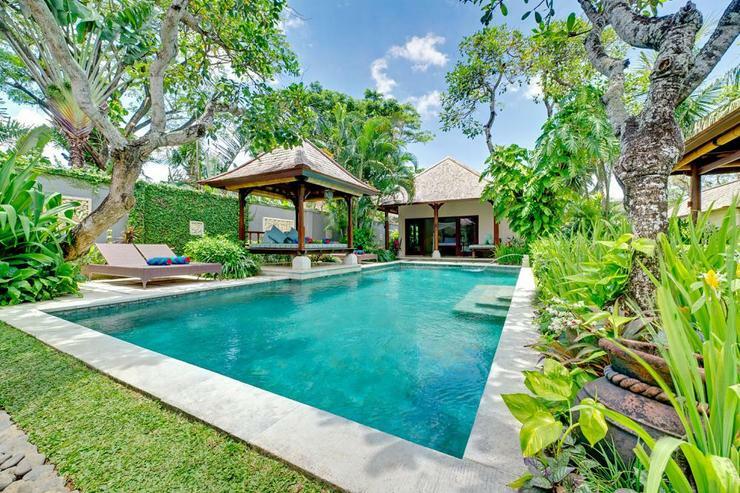 Villa Kedidi is just a short stroll from the glistening black shores of Canggu Beach on Bali's south-west coast. 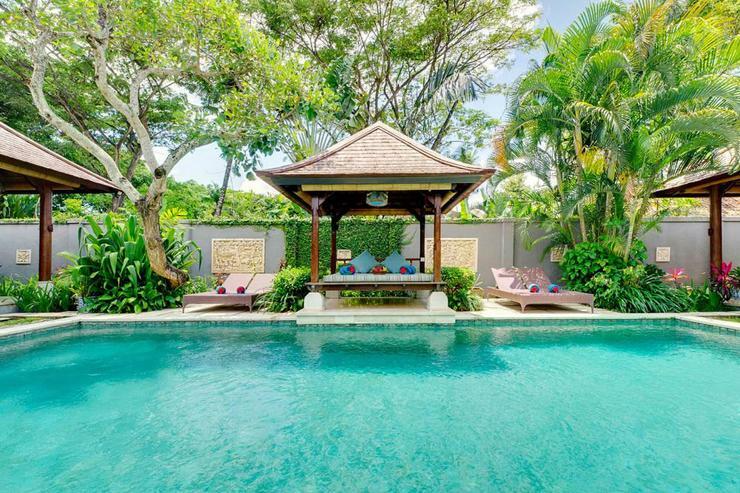 This delightful three-bedroom villa has a 10-metre swimming pool and is fully equipped with children's facilities. 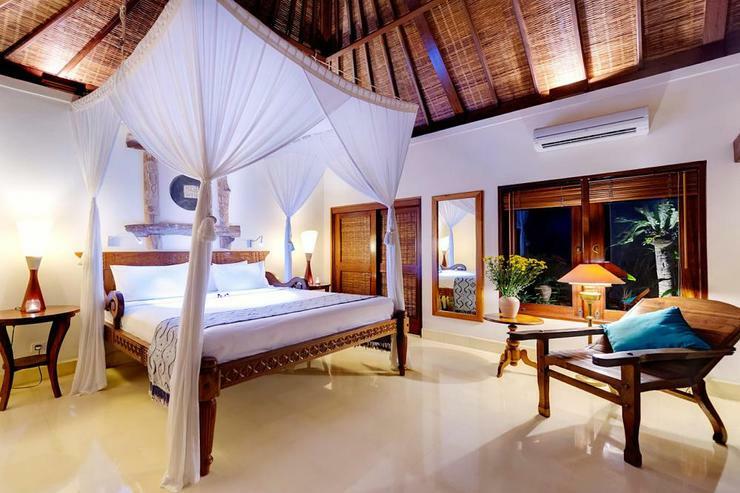 It is serviced by warm and attentive staff and is designed with relaxation and comfort in mind. 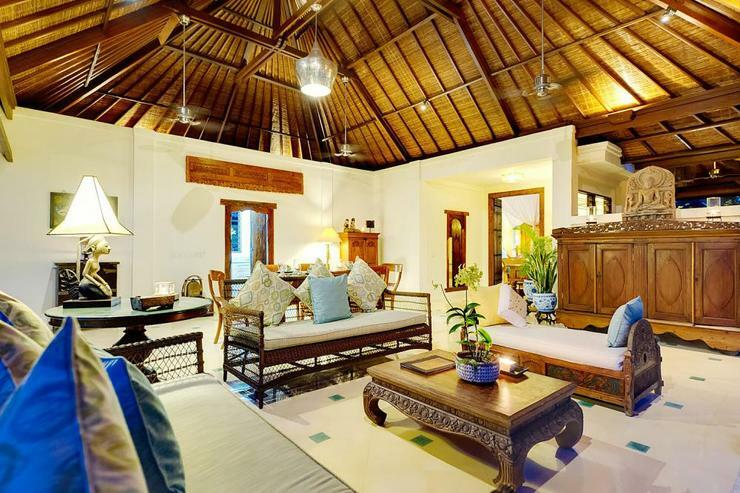 The villa, named after the sand piper that frequents the nearby shores, is designed in traditional Bali style. 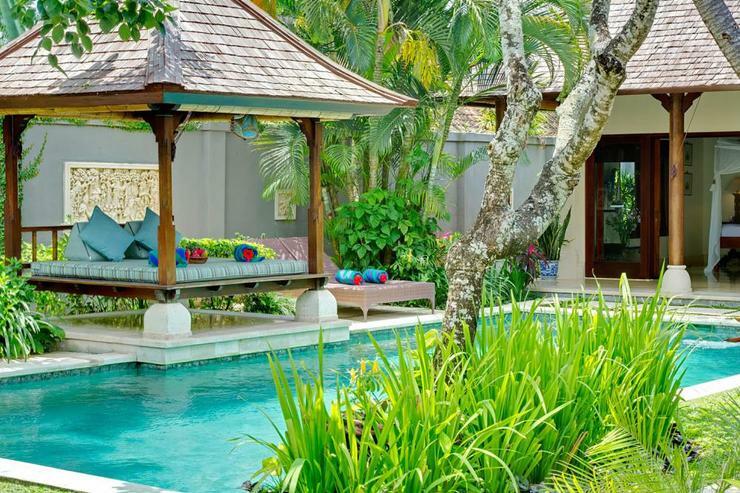 The swimming pool, strategically located in the middle of the compound, promotes easy access from the surrounding bedrooms that feature beautifully carved wooden beds and semi-open garden bathrooms. 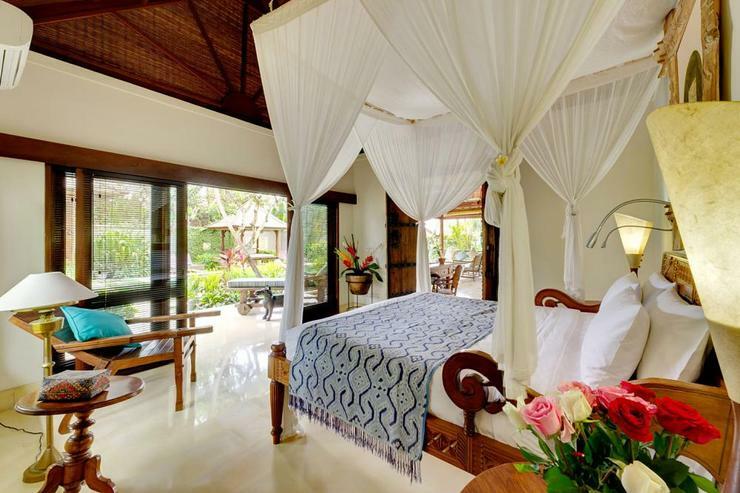 All three air-conditioned bedrooms at Villa Kedidi mirror each other in design and facilities. 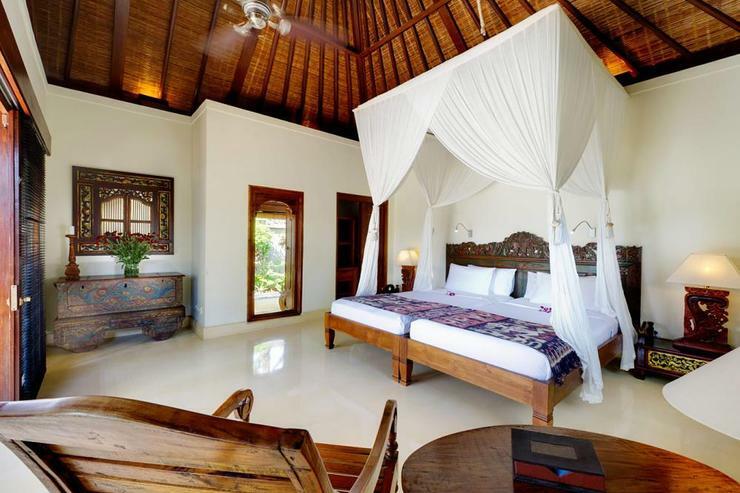 Featuring cream terrazzo floors and beautifully carved wooden beds draped with mosquito nets and antique batik throws, the bedrooms are tastefully decorated with Javanese antiques and traditional paintings and portraits. All the rooms are very homely and comfortable. 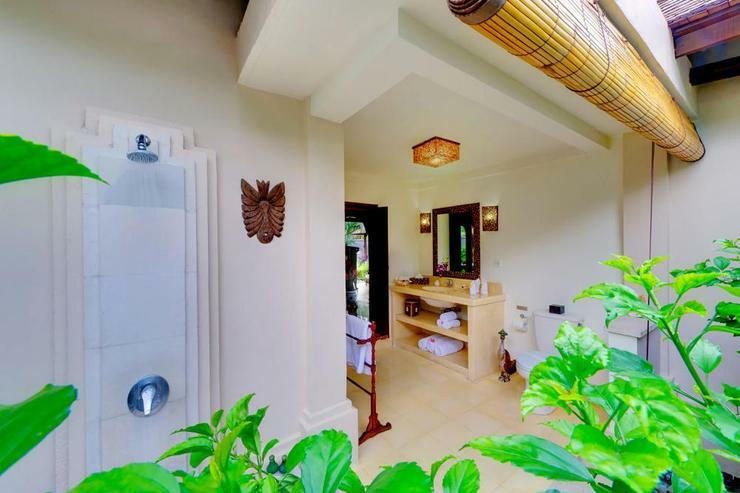 The master suite of Villa Kedidi also has a tub in the bathroom. 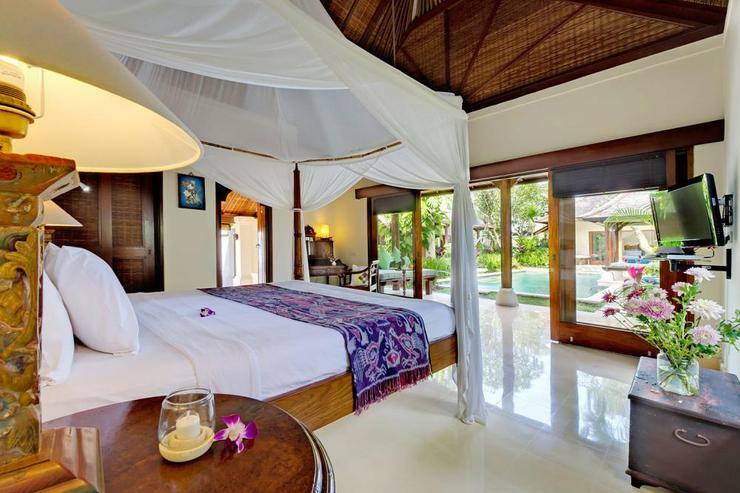 The twin bedrooms are located in separate pavilions at opposite ends of the swimming pool, both featuring a TV and DVD player. Sliding glass doors open onto each room's veranda where a daybed is perfectly positioned for reading or taking a quick nap. The third bedroom is accessed via the living area or from glass sliding doors that open onto a patio with a beautiful blue urn water feature. This room's bathroom is not ensuite but lies just beyond the bedroom doors, off the living area. It is also accessible to guests. 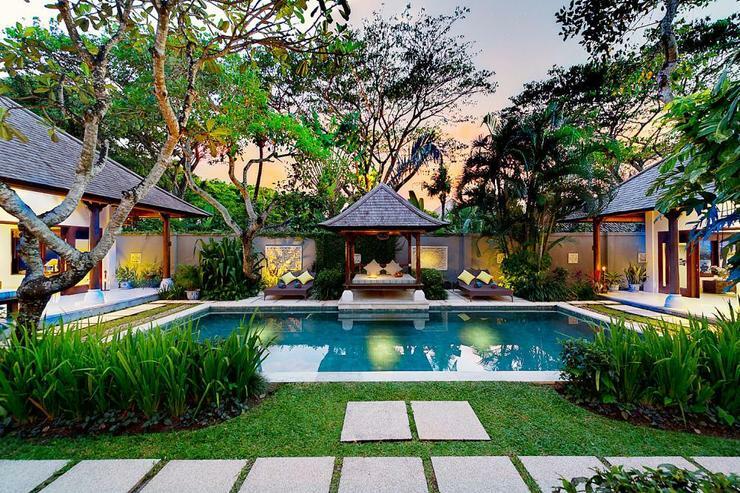 Located in Canggu, Bali. Villa Melissa is a in Indonesia.